Finally I have been getting some projects done! 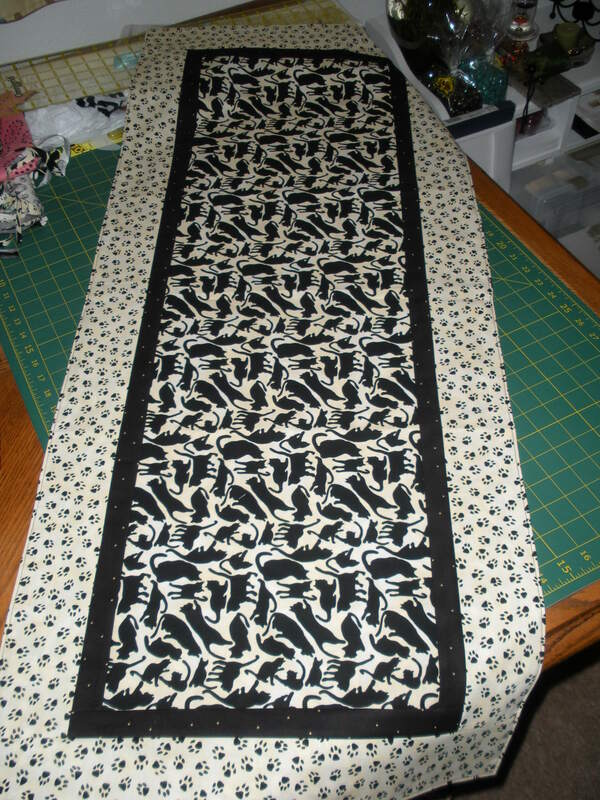 It feels great to sew and accomplish something. 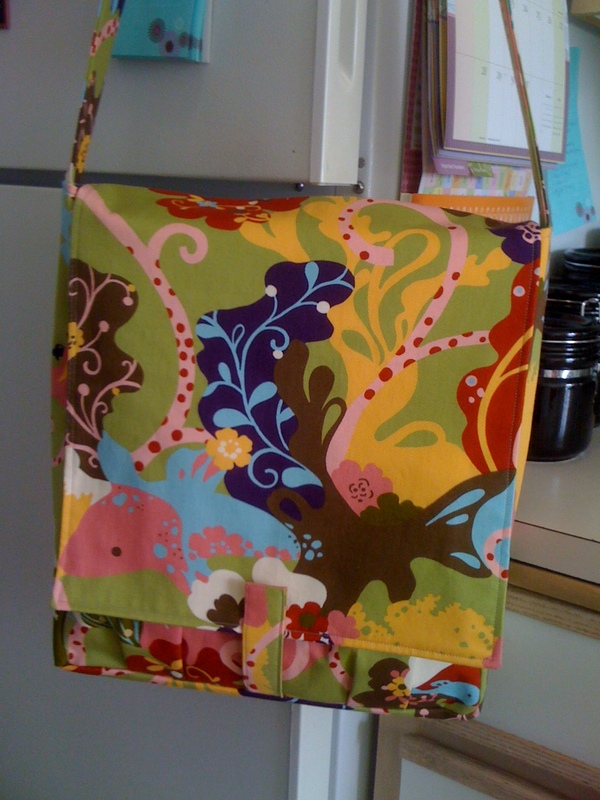 ^_^ First up we have yet another Amy Butler High Street Messenger Bag. This is the thrid one that I have made. I really like the end product, but sewing it together can be a bear. This one was a gift for my cousin Olivia, who turned 16 in March. Here’s a picture of the outside front. I chose to put the tab on, using velcro, incase she decides to use this for a laptop bag. The tab really doesn’t serve too much of a purpose, so I would recommend leaving it off, unless you like the way it looks. The fabric is called Odyssey from MoMo for Moda. With the flap out-of-the-way, you can see the outer pleated pockets, though the pleats aren’t showing up very well. These outer pockets get quite a bit of use, so make sure when you are stitching the dividing line between the pockets, you do a very good job stitching it down at the top of the pockets. The inside of the bag. You can see the zippered hanging pocket and the tool pocket. This is also a very useful part of the bag. I use the zippered pocket inside all the time for loose items, personal effects, and anything that I want to keep contained. The panel pockets are great for pens, notepads, ID cards, just about anything you want to keep on the inside of the bag, but easily accessable. Finally the back of the bag. This zippered pocket has not gotten much use from my experience, but is handy to have. 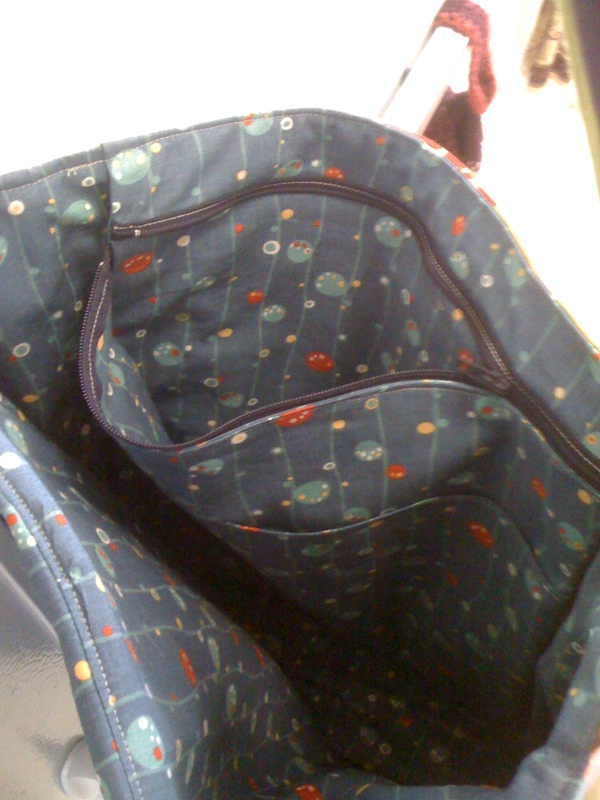 The pattern does call for an additional zippered pocket on the inside of the flap, but I found that I never used this because it is hard to get to, if you open it while wearing the bag, the contents will spill out of the pocket, and the zipper pull scratched my hand every time I reached into the bag without lifting the flap. I would recommend leaving the zipper off the flap unless you know what you would use it for. 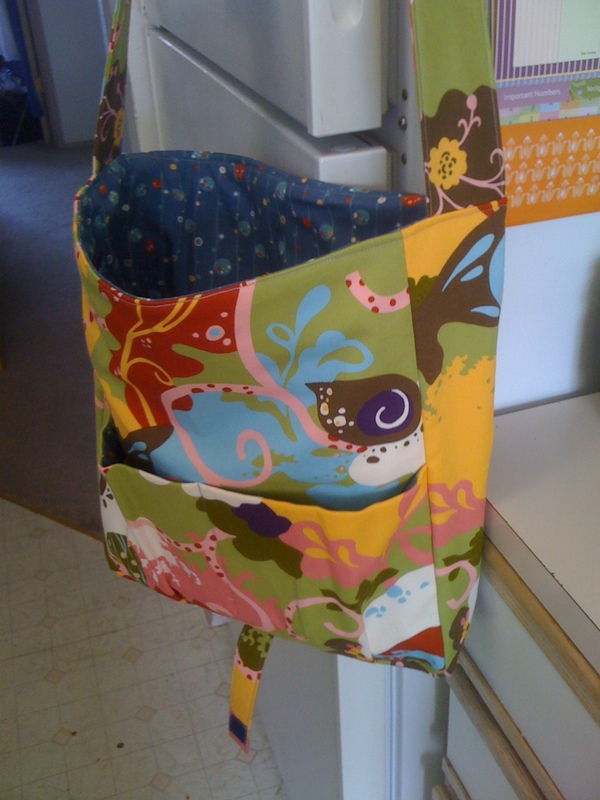 All in all, I really enjoyed making these bags and think the pattern is well done. Number one tip if you are thinking about making this pattern. 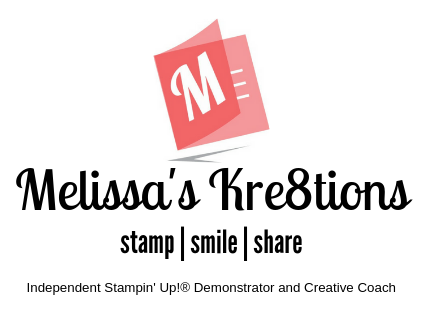 . . LABEL EVERY PIECE WITH MASKING TAPE. DO NOT USE A DIRECTIONAL PRINT. MAKE SURE YOUR MACHINE CAN HANDLE HEAVY-DUTY FABRIC/LAYERS OF FABRIC. These are the most important tips that I can give you! If you have any questions, feel free to let me know! ^_^ I’m always glad to help. Please excuse the white balance. . . the lighting in my apartment is horrible. This is the Favorite Things Uptown Coat that I have had forever. It’s a store sample that should have been done last year. . . oops. I did the jacket version after realizing I didn’t have enough fabric to make the coat. I was going to keep this one until I found out that the size I thought I needed was way too large for me. . . (better to be too big than too small I guess.) All it needs are some buttons and it’s done! Hooray! This shot has a little better lighting. You can see the color of the exterior better. 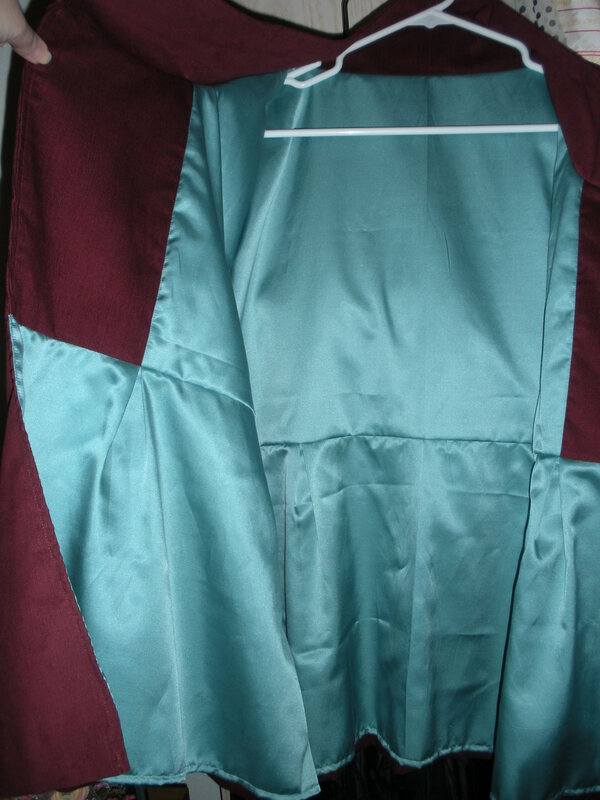 I used a maroon/burgundy corduroy for the exterior and a silk/cotton blend teal for the lining. 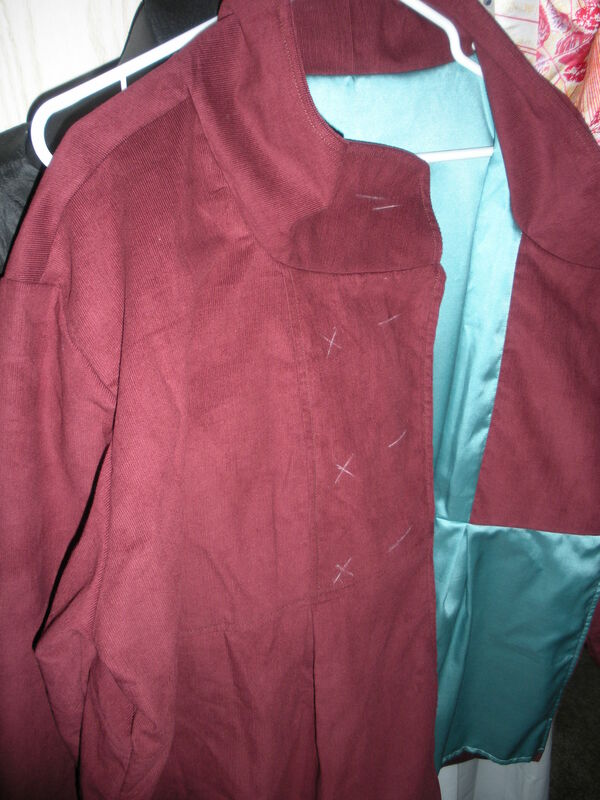 You can also see the markings for the button holes and buttons. I will make the button holes as soon as I find some fab buttons. 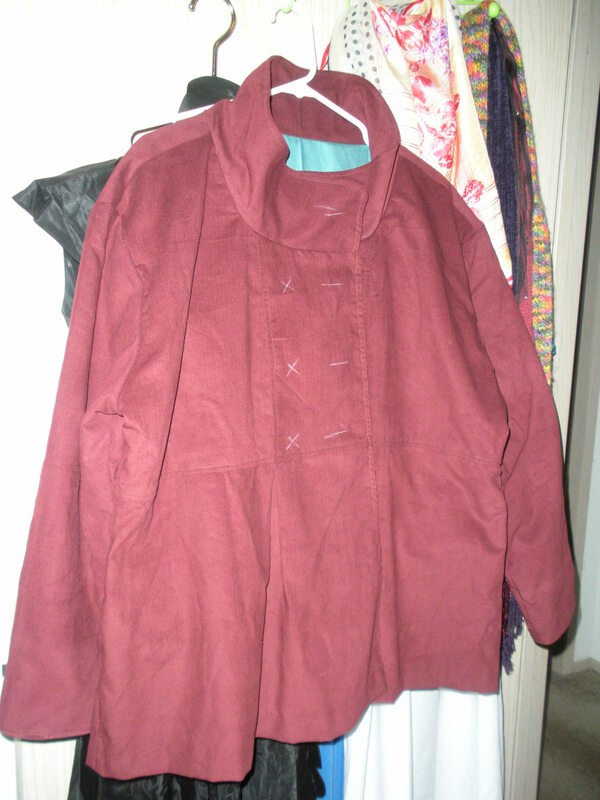 This was my first coat, and basically only my second or third garment. I think it came out pretty well considering I haven’t done much clothing and I don’t have a dress form to fit to. Previous Post Time. . .where art thou? Hi Tina! Thanks for the comment! I’m pretty sure I used double sided adhesive batting. I can’t remember the name at the moment but I want to say it was a Pellon product. Their double sided interfacing. It’s more like a batting though, not just the thin stuff. I also used a heavier weight decor fabric for the exterior. It helps keep a nice shape. Now that I’ve thought about it some, I think the Pellon was a single sided thin fusible… And yes I do remember using the duck canvas. It’s been such a long time, it’s hard to remember clearly. I think I followed the pattern’s supply list pretty much exactly. I just omitted one of the extra pockets she called for. But I would recommend cutting out and labeling each piece she asks for. 🙂 Let me know how it turns out! Melissa was it thin fusible fleece,and does the duck canvas layer just lay without adhesive behind the fused decor pieces.? I’ve made a couple of bags before but not with this much direction I will take you advice and label each piece thanks. Glad it came out well! 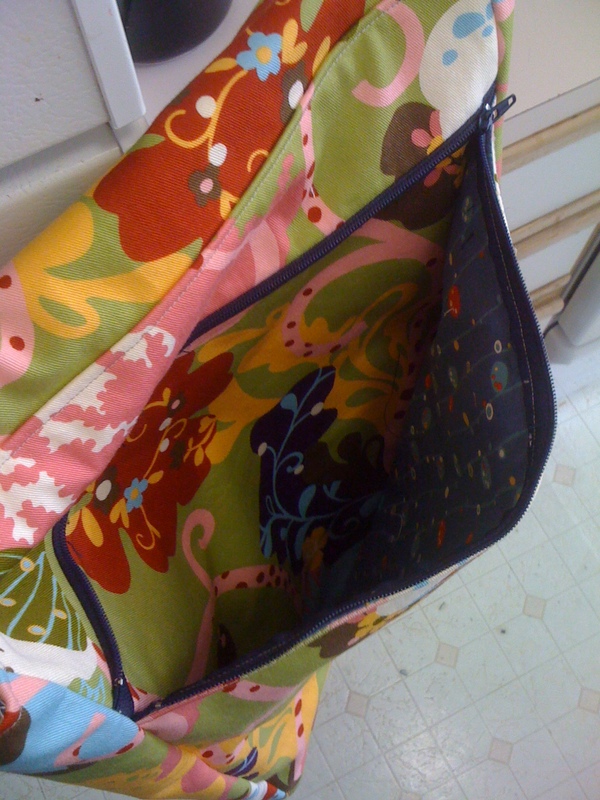 It’s s fun bag to make. I made two or three.